Installing the Update mod is recommended to fix numerous bugs introduced by various later updates. Numerous mods are available for the game, including new levels and completely new game modes. European copies also include SecuROM 5 DRM. Collector's Edition copies can bypass Steam if you launch hl2.msi directly. Soundtrack is available for free with purchase here. A list of console commands can be found here. Use -console then in the console write bind F2 "toggleconsole"
You can replace F2 with any key of your choice. An extra list of mods can be found here. To view the most-rated mods, click here. A discussion of various graphic improvement mods can be found here. An unofficial update that fixes bugs, improves the lighting, draw distance and adds new effects among others. An unofficial port of the Japanese arcade version. This mod does not require Steam in order to run, but it requires you to use old files from Source SDK Base 2006. Click at the link above for more info. Enhances visual effects, weapon animations, sound, and gunplay. 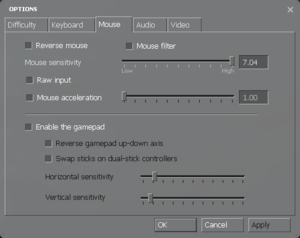 Most features can be toggled on and off. Compatible with all official Half-Life 2 titles, MINERVA and the FakeFactory Cinematic Mod. Compatibility patches made by the community for other mods and games based around the Half-Life 2 gameplay and various other addons can be found here. Textures for all NPCs, some weapons, some items, some crates, and some vehicles, upscaled with Topaz A.I. Gigapixel. Upscaled textures are faithful to the original textures. Between 75° and 90° horizontal. Frame rate cap can be changed by changing fps_max in the developer console. 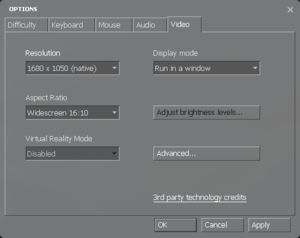 For the Oculus Rift, set vr_force_windowed 1 in the developer console. Use the console command exec 360controller to automatically setup Xbox controller support (if not already configured at startup). For Button Prompts use Controller UI Mod features multiple options such as X360,XBONE,PS3,PS4 and SWITCH. 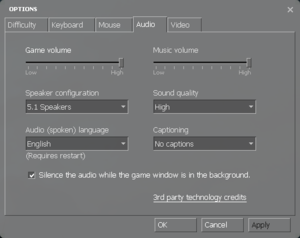 Game volume and music slider. Under a check box in the Audio menu. No explicit setting. Steam client has to be in Swedish. 32 Users will need to open the developer console and type "maxplayers 4; sv_lan 1" and "map d1_trainstation_01" in the console. Do note that the game will not load an autosave, but you and your partner will respawn instead. See also Helix Mod: Half Life 2:Update. Available under Video Settings. See the Oculus Rift forums for further instructions. TweakGuides has created a comprehensive guide for fixing issues in this game which can be found here. Walk into the elevator, Quick Save F6, then Quick Load F9. Set the executable to run under the Windows XP (Service Pack 3) compatibility mode. 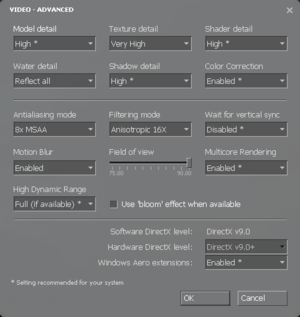 Use -dxlevel 95, start the game and configure the desired video settings. Remove the command line before starting the game again. 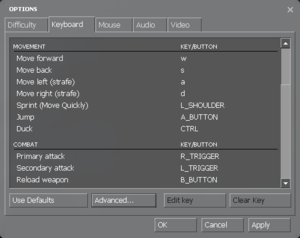 Not removing the command line will cause the game to set the options to their default values. Find and remove the Helvetica font. A list of command lines can be found here and here. 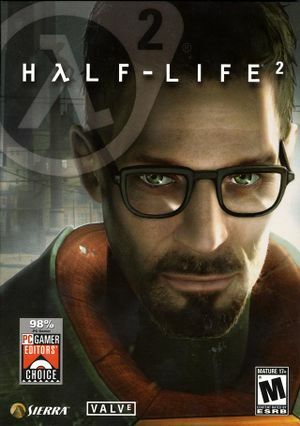 Windows 98SE, ME, and 2000 were previously supported operating systems for the game, but as future updates for this game and Steam occurred; the support for these operating systems were dropped with non-Collector's Edition retail copies. Must be run without Steam to play on XP and Vista.